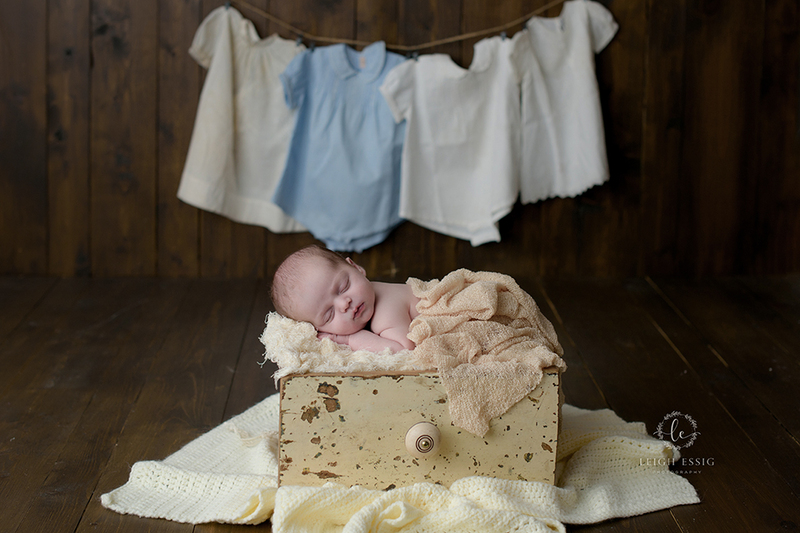 CJ’s Newborn Session – A Valentine’s Baby! I love milestone photos. It's so much fun to have my newborns come back- watching these kids grow up is such an amazing experience. 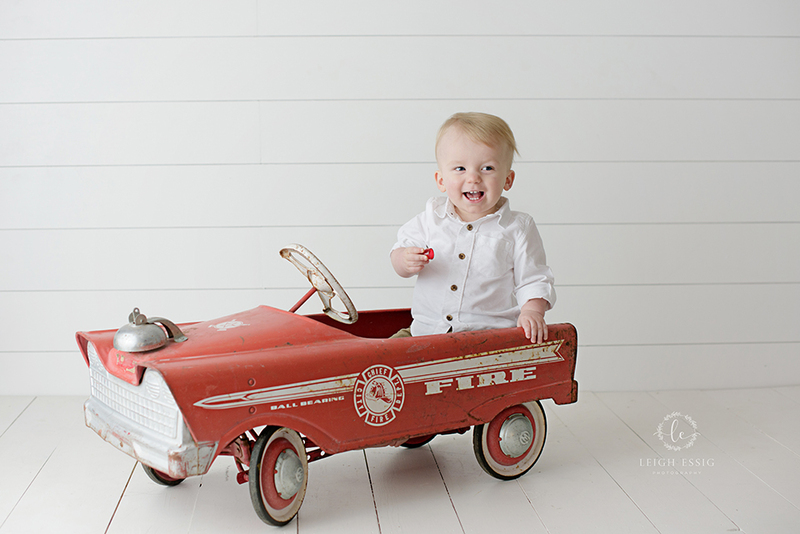 One of the things I loved most about his session was the adorable heirloom outfit that his father was photographed in for his six month photos. Incorporating family heirlooms is wonderful because it adds a personal touch to your images. And if anything needs to be personal, it's your photos! If you haven't seen Lawon on Facebook you can find highlights from his newborn session here. Here's Lawson in his daddy's outfit. The blue color matches his eyes perfectly! In December while I was hosting Christmas Minis, Brecken's grandmother stopped in and mentioned that she was interested in some milestone portraits for her grandson. After she called me to set up an appointment, I had the family stop by the studio to look through props, outfits, and get an idea of what they wanted for their session. 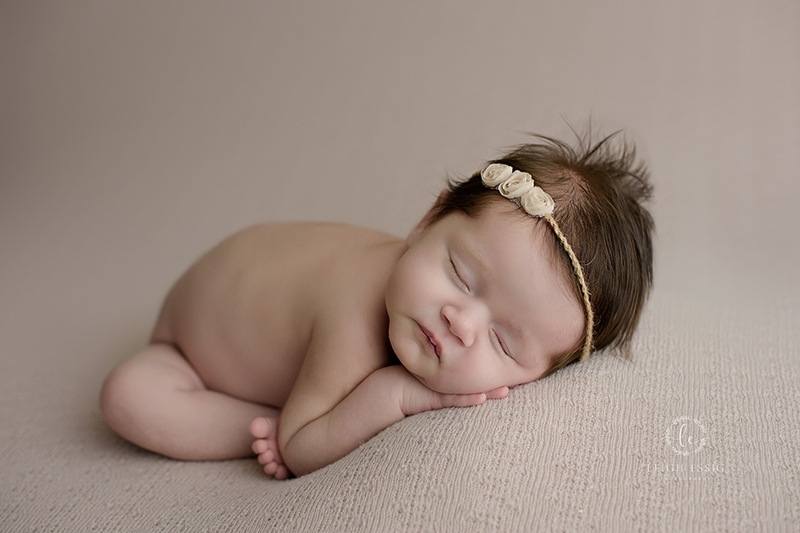 The reason I do this is to help the milestone sessions go faster having everything prepared ahead of time and I can focus on photographing those precious children. I was super stoked when they showed up with two adorable family heirloom props- the yellow car was his grandfather's and the red one was his grandmother's! I had the pleasure of meeting the Smith family a few years ago when I photographed a Legacy session for their family.